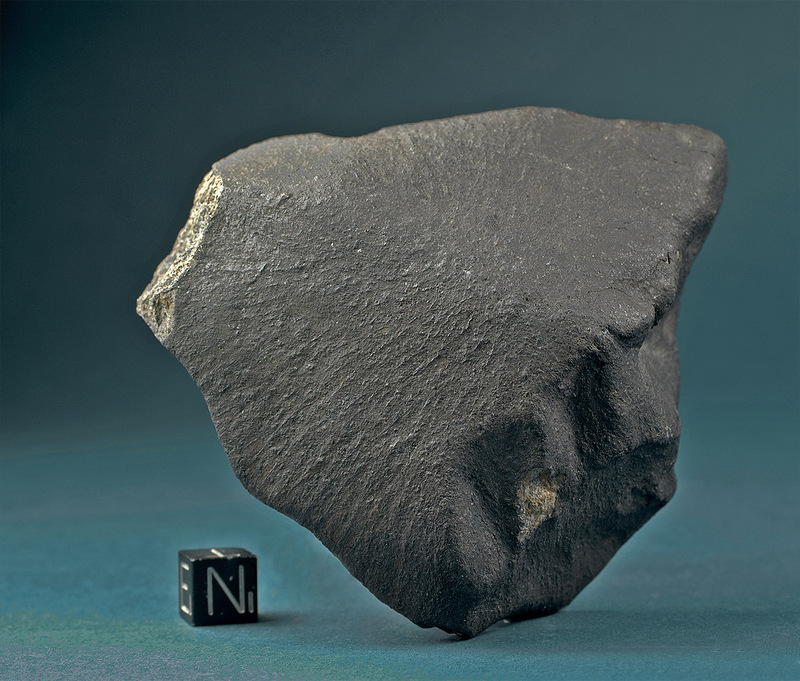 “History: In fall and winter, 2007 ~100 kg of meteorites were collected in the Erg Chech, north of Taoudenni. Nomads reported the stones fell after a smoke cloud was seen and several detonations were heard over a wide area during daytime in July 2007. The finder of the first meteorites was Mr Ouled Bleila, who died in a car accident on his way back from the trip to the Chergach strewn field in October 2007. According to the Tuareg people from Algeria who visited the fall site in September 2007, the elliptical strewn field stretches for more than 20 km in a northeasterly direction. No fireball was reported. “Meteoritical Bulletin 94, 2008. This specimen is a brick-shaped individual with fresh fusion crust, gently curved flanks, lipping on several edges and radial flow lines on one surface (pictured). Obvioulsy this was the front end in the last stage of the ablation phase. Elegant and immaculate meteorite. 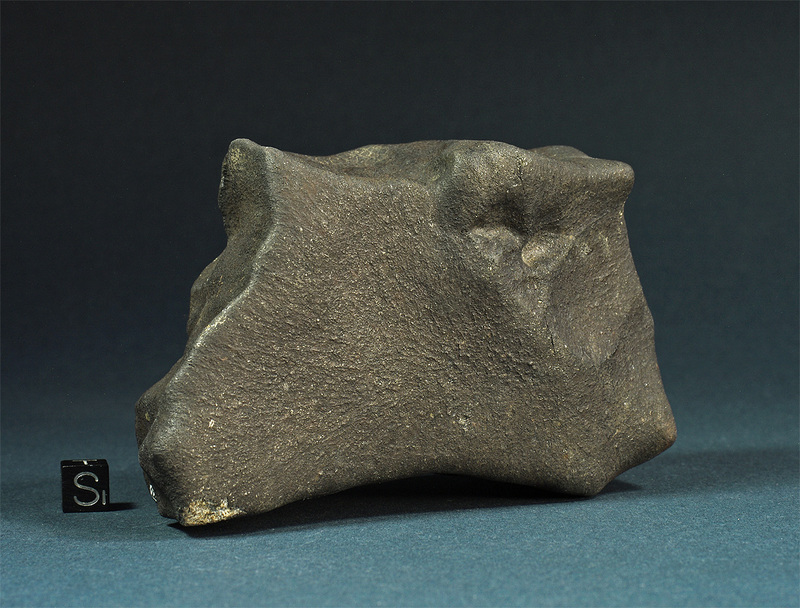 The 2nd collection specimen is a 492 g dhield-shaped oriented individual with convex breastside and centred apex. Radial flow lines and distinct splash marks originating from the apex cover the complete convex breastside. The flow lines run around the smoothened edges and disappear into deep gorge shaped regmaglypts on the retral flanks. These furrows contributed to a stable flight attidude of the projectile. The trailing edge shows a distinct melt rim along three quarters of the edge. Fusion crust on the breastside is deep black with flow lines and splash marks shimmering in the light as if still liquid. The trailing edge displays a thick fusion crust with a more velvet like texture and a shade of brownish red. 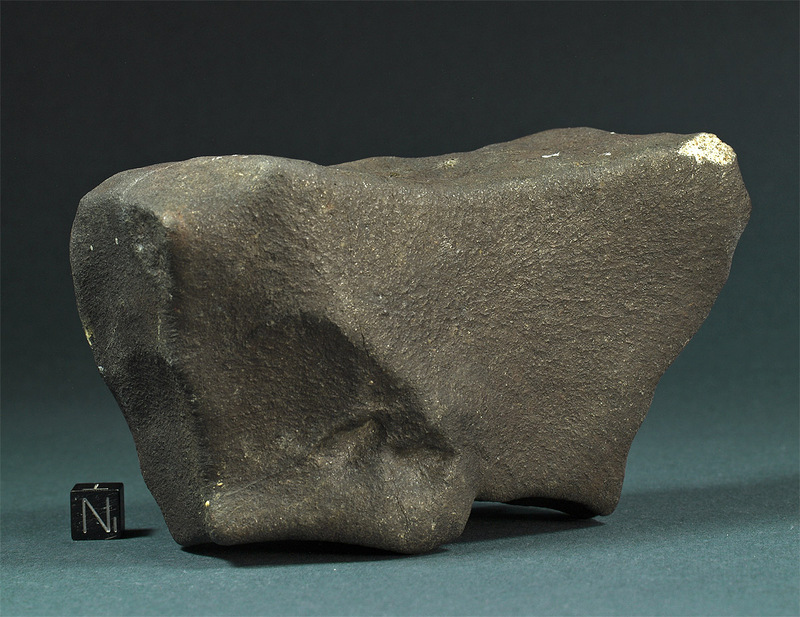 The meteorite measures 10.2 x 9.4 x 3.9 cm.